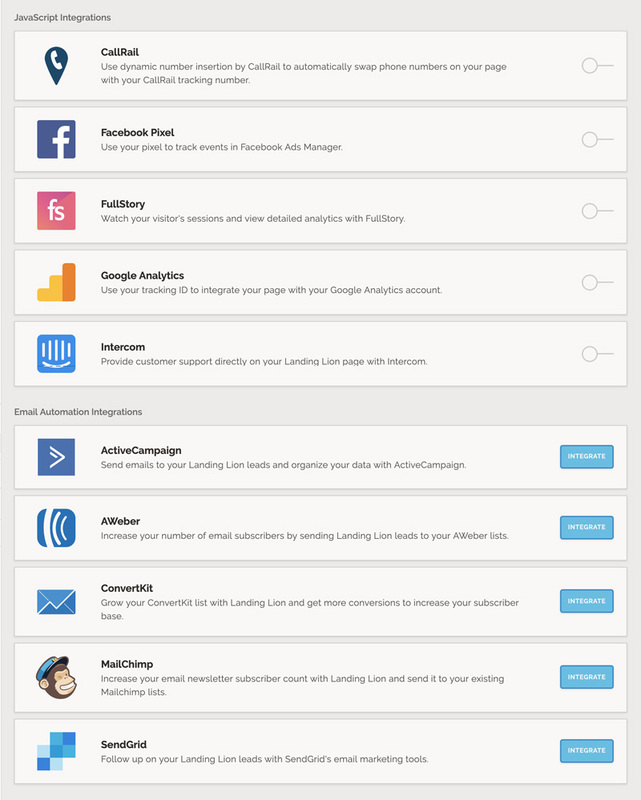 Add and activate one or more integrations on your page. 1. 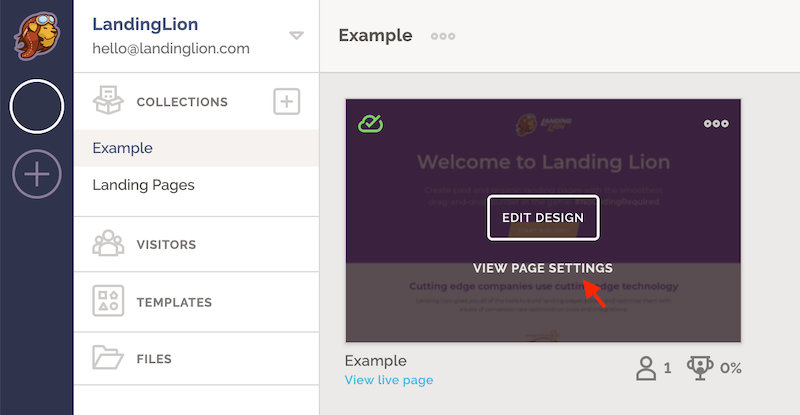 Go to "Page Settings" in your landing page. 2. Click on the "Integrations" tab. 3. Scroll down to the integration you want to enable in the list. ⚠️ Note: Some integrations require you to login and connect your account. If you see a blue "Integrate" button then move to Step #4 if not then skip ahead to step #5. 4. Click the blue Integrate button. In the pop-up, log into your account for the integration to finish authorizing with your Landing Lion account. ⚠️ Note: If you do not see the popup, make sure it is not being blocked by your browser. 5. Click the toggle slider to the right of the integration to activate and start using it. Note: Make sure to add the necessary code snippet, API Key, or add the list you want information to be sent to. 6. And that's it! Your integration(s) is now added to that page!